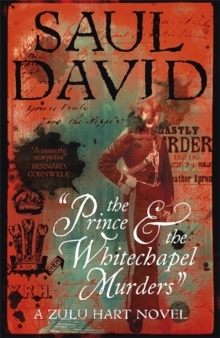 The history of any war is more than a list of key battles and Saul David shows vividly how the First World War reached beyond the battlefield, touching upon events and lives which shaped the conduct and outcome of the conflict. 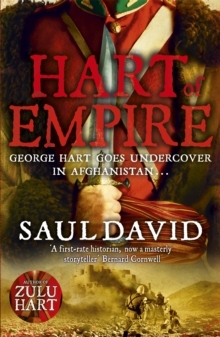 Ranging from the young Adolf Hitler's reaction to the assassination of Archduke Ferdinand, through a Zeppelin raid on Scarborough, the tragic dramas of Gallipoli and the battlefields of the Western Front to the individual bravery of the first Indian VC, Saul David brings people and events dramatically to life. 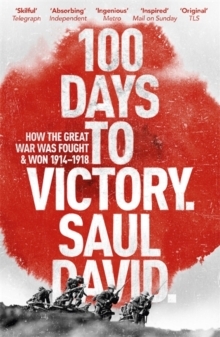 100 DAYS TO VICTORY is a 360 degree portrait of a global conflict that stretched east from the shores of Britain to the marshes of Iraq, and south from the forests of Russia to the bush of German South East Africa. 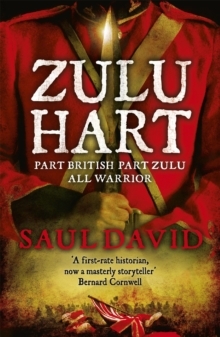 Throughout his gripping narrative we hear the voices of men and women both eminent and ordinary, some who were spectators on the Home Front, others - including Saul David's own family - who were deeply embroiled in epic battles that changed the world forever. 100 DAYS TO VICTORY is the work of a great historian and supreme story teller. 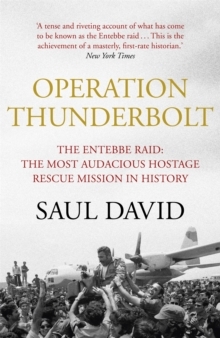 Most importantly, it is also an enthralling tribute to a generation whose sacrifice should never be forgotten.